From the time of its first publication, 'Tearoom Trade' engendered controversy. It was also accorded an unusual amount of praise for a first book on a marginal, intentionally self-effacing population by a previously unknown sociologist. The book was quickly recognized as an important, imaginative, and useful contribution to our understanding of "deviant" sexual activity. Describing impersonal, anonymous sexual encounters in public restrooms—"tearooms" in the argot—the book explored the behavior of men whose closet homosexuality was kept from their families and neighbors. By posing as an initiate, the author was able to engage in systematic observation of homosexual acts in public settings, and later to develop a more complete picture of those involved by interviewing them in their homes, again without revealing their unwitting participation in his study. 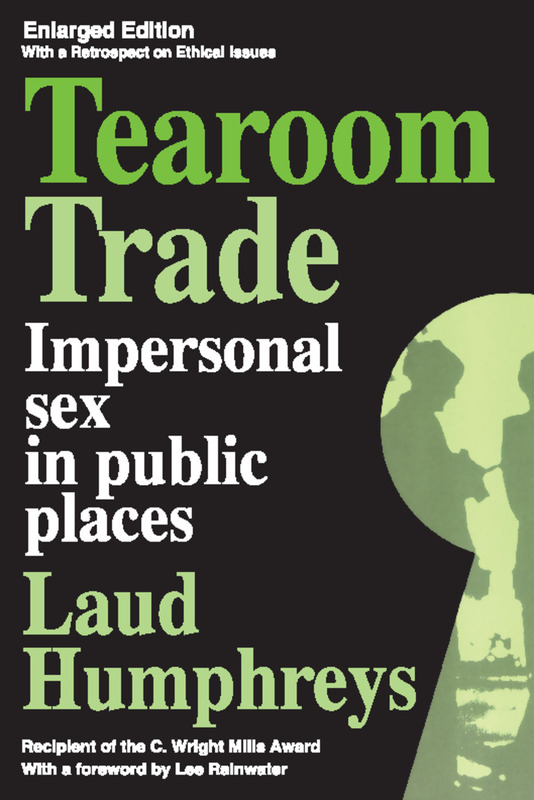 This enlarged edition of 'Tearoom Trade' includes the original text, together with a retrospect, written by Nicholas von Hoffman, Irving Louis Horowitz, Lee Rainwater, Donald P. Warwick, and Myron Glazer. The material added includes a perspective on the social scientist at work and the ethical problems to which that work may give rise, along with debate by the book's initial critics and proponents. Humphreys added a postscript and his views on the opinion expressed in the retrospect.